I have been writing full time since 1990, and several hours a week for probably two decades before that. In addition to dozens of articles, two theses, one dissertation, and two deservedly unpublished novels, here’s what I have to show for the effort. 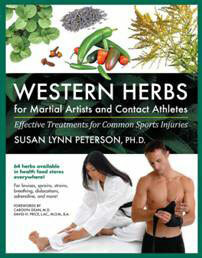 This book investigates sixty-four herbs that are readily available in North America and Europe. For each herb it discusses the evidence for its effectiveness, the evidence for its safety, and how specifically to use it to enhance martial arts and contact sports training. Even the beginner will be able to choose an herb to meet a specific training need, purchase a good quality portion of that herb, prepare it, and use it safely. 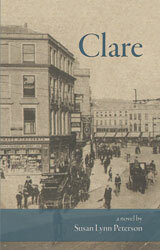 A 14-year-old girl with her two younger brothers emigrates from her native Ireland after the death of their parents. Live the sights, sound and adventure of a 1906 journey of immigration. Looking for a date, event, or person in church history? This book is likely to have it. 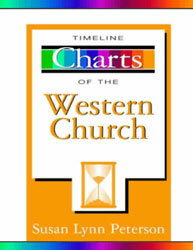 It is the most complete timeline of church history available in print today. Published by Zondervan, it was a finalist for the 2000 Gold Medallion Book Award. Coauthored with Karen Levitz Vactor. Proven business advice to help you create the martial arts school you want. Published by Tuttle Publishing. Twenty-one traditional martial arts stories adapted for young adults. Published by Tuttle Publishing.